In a cleanroom, the human being is the most disturbing factor. Therefore, cleanroom clothing is very important in critical cleanroom areas. To meet special cleanroom conditions, adequate cleanroom clothing is necessary. Please let us know, if you need assistance to find the most convenient disposable cleanroom garments for your application. We can provide sample garments for your testing purposes. Please contact us! Protection from head to food. Material: Innovative low-lint, extreme light fabric. Excellent wearing comfort, antistatic and hard-wearing. 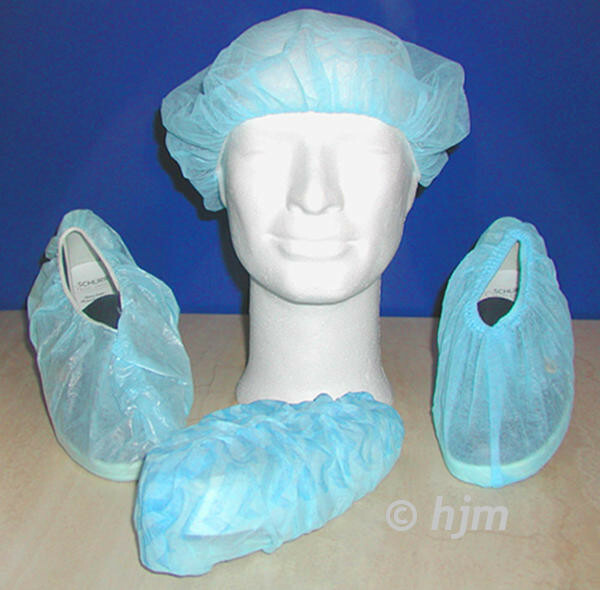 Hoods, Shoe covers and overboots, as well as beard cover complete the garment program.